Floor pillows are a way to add unique decoration to your home that isn’t just beautifulbut is also functional. Even better, they are great for adults and kids alike. 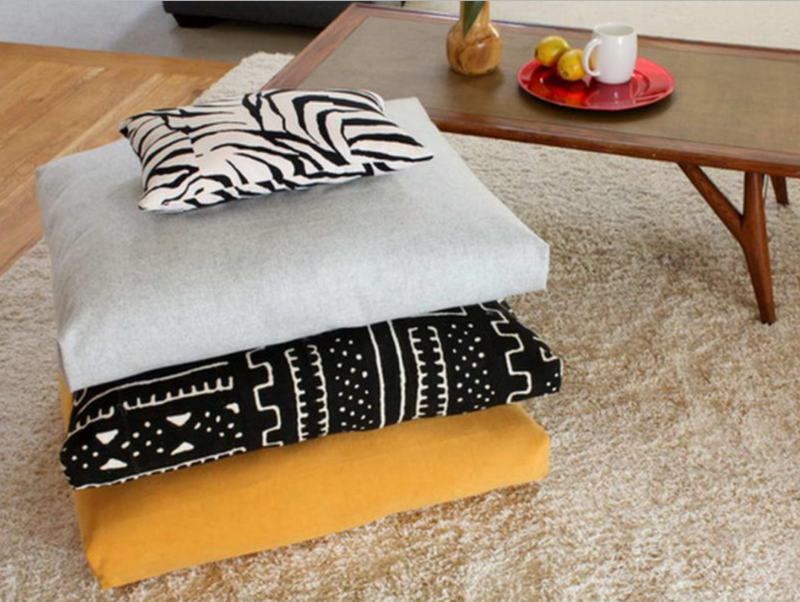 Floorpillows and cushions can make a home cozier and can be great for impromptu entertaining insmaller spaces. Use them when you have guests over, use them for a dinner served whilesitting on the floor, or use them as sleeping areas for children during the big sleepover.Sometimes also called floor cushions, these creative seating solutions have a deep historythroughout other parts of the world. Traditional floor pillows can be found in many Asian and Mediterranean cultures throughouttheir long history. Often used for eating while seated on the floor, these helped cushionthe person from the hard ground below them. The pillows are designed to support the kneesand ankles while sitting on hard surfaces. In places such as Morocco or Japan, thetraditional dining table is much lower to the ground than in a traditional American home.As a result, they use the floor cushions as their chairs. Floor pillows are also popular items used in mediation. Meditation requires the person tosit, comfortably, for long periods of time. So having a plush and supportive cushionduring meditation is imperative. They tend to be flat square large floor pillows with atleast 3 inches of fill, to accommodate the legs in the crossed position. You can use floor pillows in your home for decoration and function, which makes them greatto have around in case you need them. Decorating with large floor pillows can be a reallyfun way to fill an awkward space, give that finishing touch, or to add a flare of anotherculture into your home. One way to decorate with these is by stacking them in a corner,you and mix and match colors and the room will still look great. If you would like to adda touch of Asian or Mediterranean inspired culture, look for pillows that include vibrantcolors such as pink, orange, gold, green, and that have ornate patterns. Fabrics such assilk tend to be the best options when trying to bring together this look. If the mix and match look doesn’t suit your style, you can match the pillow to your sofaor curtains. This allows for the floor pillow to fit the design of your home withoutstanding out too much. Cotton blends are a good fabric choice when you are looking for apillow that will blend in with existing leather or cotton furniture. You can also choosebetween small, medium, or large floor pillows to fit into any room, no matter how big orsmall. For the family, floor pillows are a fun way for the kids to watch TV with their friends.Anyone who hosts sleepovers knows that it can be tricky finding comfortable space foreveryone. With floor cushions, it isn’t an issue anymore. For smaller children, one largefloor pillow may be big enough for comfortable sleeping space. However, for olderchildren- you can sew 3 to 4 pillows together to create a long, foldable floor cushion. If you are looking to host the ultimate movie night or slumber party, you can even make alarge floor pillow quilt! It requires at least 8 large floor pillows. You can sew togetherthe corners of each pillow to another one to create one large floor pillow that can beused both inside and outside during the summer months!